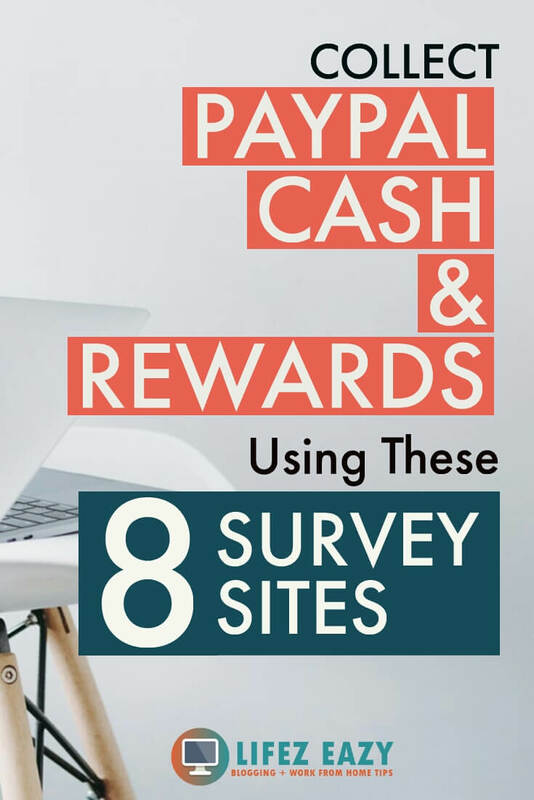 In this article, I will highlight 8 high paying survey sites that pay through PayPal. Now, before I reveal them, let’s imagine a scenario. A scenario where you are making $75-$100 per month for literally giving your opinion, playing games or watching videos. Imagine you are sitting on your couch with your laptop where you are giving your opinion to a company who will pay you in return. Isn’t that amazing that the things you have done previously pay you money? I mean there is nothing to lose if it comes to making money from surveys. 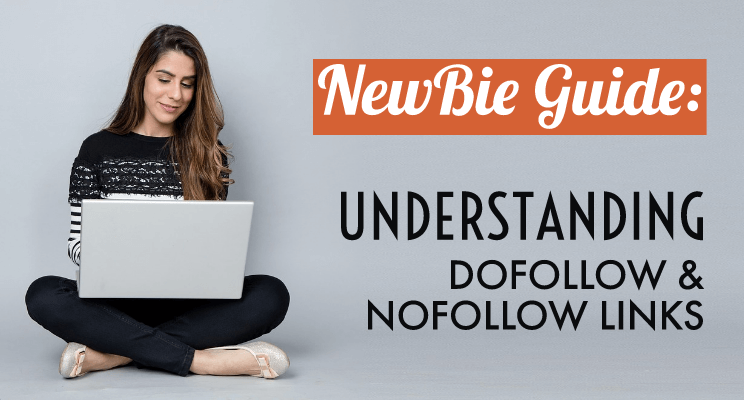 You know, there are many people who strive to make an extra side income because they don’t know where to find such opportunities that would pay them. All they do is try scam websites that not only waste their time but also pay nothing. 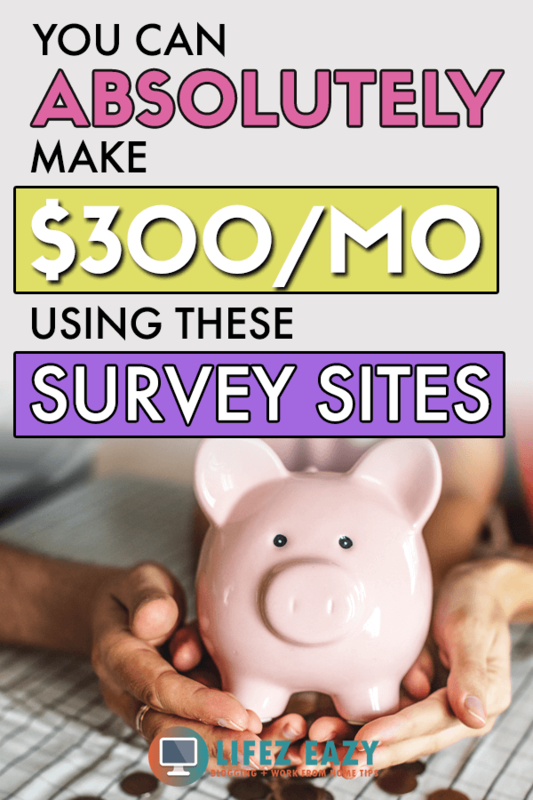 So, if you are really looking out some ways to make a guaranteed side income every month, then you must definitely try out these survey sites that will pay you for sure if you will put some work. 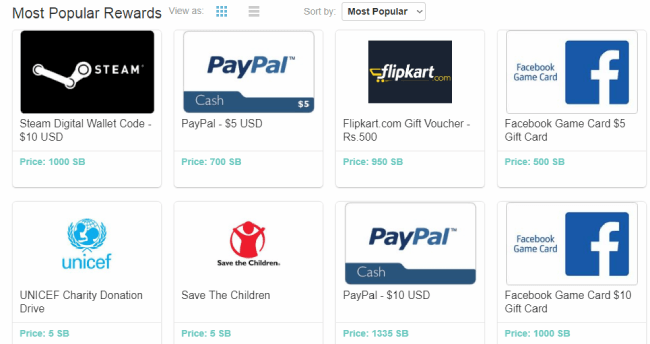 Why should you be taking online surveys that pay through PayPal? How long does it take to get paid through PayPal? Is there any other payout option in survey sites? How to make money from taking surveys? Well, there are many reasons to choose survey sites that must have a PayPal option. As you all know, PayPal is one of the most reliable & popular platforms many countries use for Payment transfer. 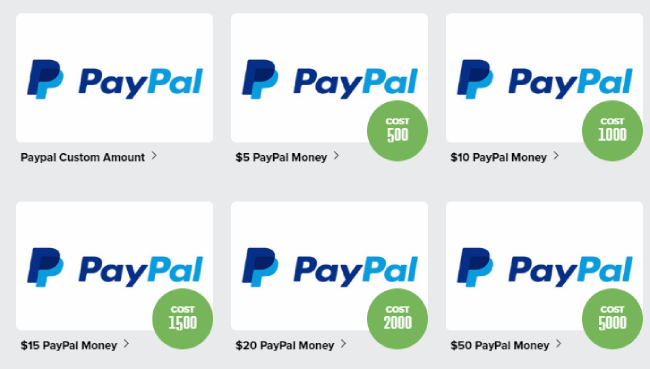 Because of this, many survey sites always opt for PayPal for giving cash rewards. Also, having a PayPal option on any survey site is a great sign because that shows PayPal only works with legit companies. I mean, they don’t want to work with some fraud sites that fool people. Make sense? Another thing about PayPal is that it is free to use and anybody can create an account if they own a bank account. While shopping online, you can also use them to pay because most of the online companies accept PayPal transfer. So with all these reasons, I will always prefer PayPal over gift cards for redeeming. However, you might also like gift cards which is totally fine. Well, to be honest, it depends on the survey sites you are part of. I mean every one of them works differently. So, there is not a concrete answer I can give. There are many of them that pay you cash within a few days. However, there are some of them that pay you within a few weeks. So, overall, it depends on the survey sites and their payout rules. It also depends on the threshold payout amount. I mean, if one site has a threshold of $100, then it might take a few months before you became eligible to cash out. 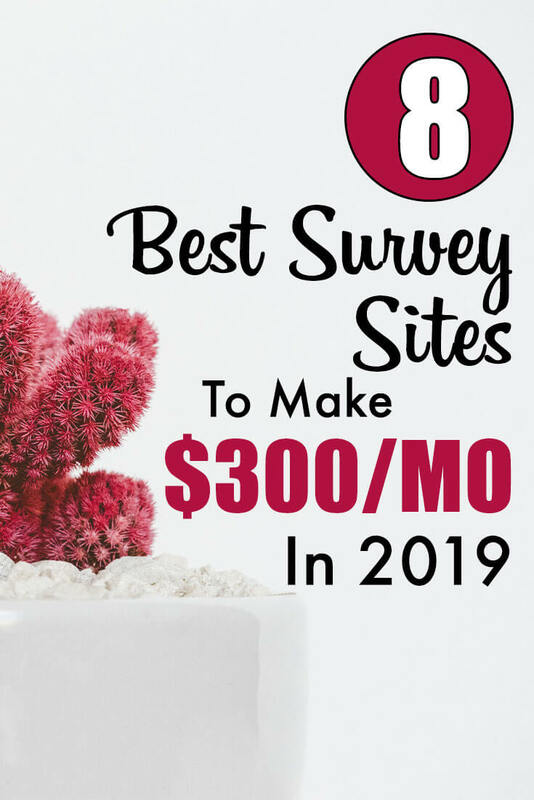 So, all these factors are different for different sites, but it’s easy because there are many survey sites that have a low threshold amount and often pays you the money within a few days. IS THERE ANY OTHER PAYOUT OPTION IN SURVEY WEBSITES? Well, till now I have only talked about PayPal option like why should you consider it and other stuff. However, it is not the only payout option you can choose while getting paid. There are many options that these survey sites offer. 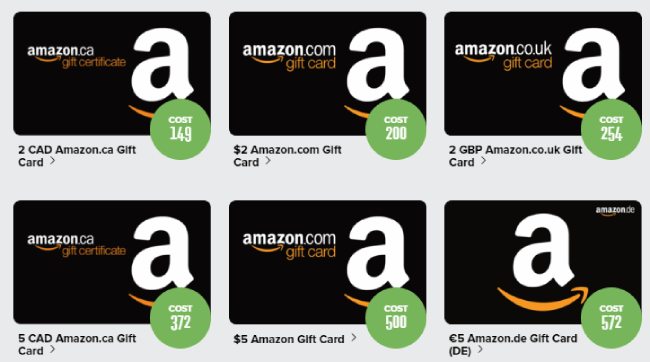 If you are comfortable, you can get gift cards instead of cash, which is basically Amazon gift cards. Apart from this, one could also cash out money through Skrill, Tango, etc which are alternatives to PayPal. So, overall, it depends on the survey sites you are in. In this article, I will mention all the different payout options for the survey sites which will surely give you a clear idea. 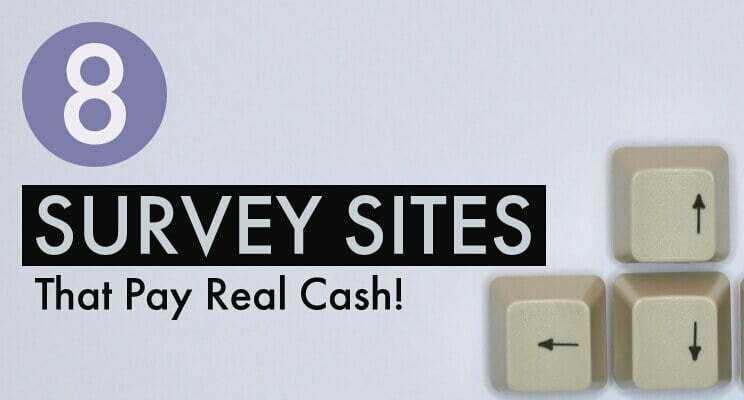 HOW MUCH CASH CAN YOU MAKE FROM SURVEY SITES? This is the most burning question you might want to know. Well, it depends on many factors like how much time you will invest, your geographic location, etc. Usually, people who are living in the USA, UK, Canada have higher chances to earn more because they get better-paying surveys. Also, if you are sticking with only one survey site, then there is a higher chance you won’t make much because you won’t be getting enough surveys. However, on average, you can make around $75-$100 a month if you are ready to join multiple survey sites. Imagine these $75 each month can add up to $900 a year which is not a bad side hustle, to be honest. You can also use these free cash either in paying your bills or shopping online. Well, what else do you need by just spending a few minutes a day that can help you in a certain way? I hope by now you have a clear idea about surveys & how much you can make from them. So, now let’s check them out. PrizeRebel is a free Get-Paid-to rewards website where members receive money for completing tasks such as surveys, offers, watching videos, complete tasks, take part in contests & games. Each point on PrizeRebel is worth $0.01 & you need at least 500 points ($5) for cash out. It has been active since 2007 and has over 7 million members with over $12 million paid to them. Most of the people I have seen are making around $50-$100/month on Prizerebel. However, it depends on the demographics so it might not be the same for everyone. 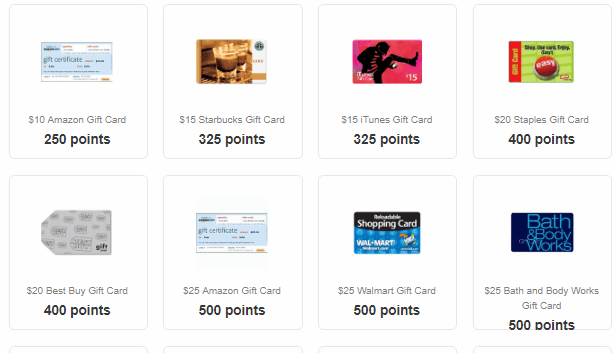 You can redeem your points for PayPal cash, Amazon, eBay, Starbucks gift cards. You can also earn bonus points from their promo codes posted on their Facebook and Twitter accounts. So, make sure to follow them. Here are some screenshots of rewards you can get from this site. Amount per survey: 35 – 250 points ($1.50 – $10). If unqualified, you’ll get 5 points. GlobalTestMarket is another survey site that provides surveys based on product development. It is one of the most paid-survey companies in the world where market points & sweepstakes entries paid via PayPal, gift cards, checks. For each survey, they credit you with 35-250 points equivalent to $1.5-$10. If you didn’t qualify for a survey, they still credit you with 5 points. You can also earn more points by referring to others if they sign-up and complete at least 2 surveys. For cashing out, you must have a minimum balance of $50 (1100 market points). All the payment processing time takes 4-6 weeks, which is a bit long. But on an overall, it’s a legit survey site. For cashing out, you should have a minimum balance of $50 (1100 market points). Vindale Research is another good site that has been around for many years. The surveys seen on this website can pay from $0.25 to $5. However, you can also find a few high paying surveys that can pay up to $50. Other than this, you can also make up to $0.25 for watching videos on Vindale which takes none effort. Other earning methods include checking out their reward email which pays up to $0.10 per email. Vindale doesn’t have a points system which means they will pay you only cash for each completed survey. 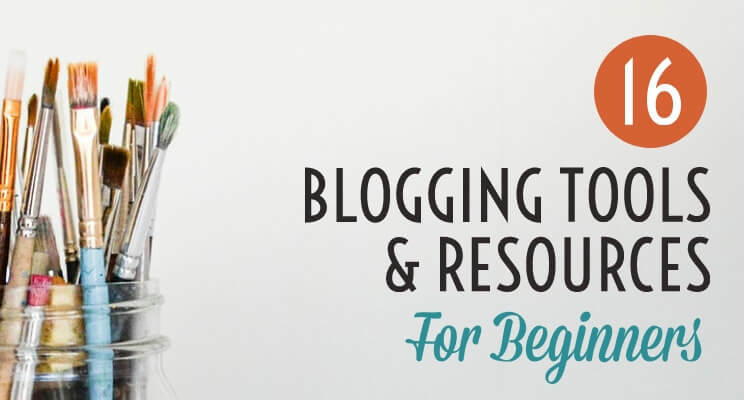 To start, you need to sign-up and confirm your email address. Once done, they will reward you with $1. 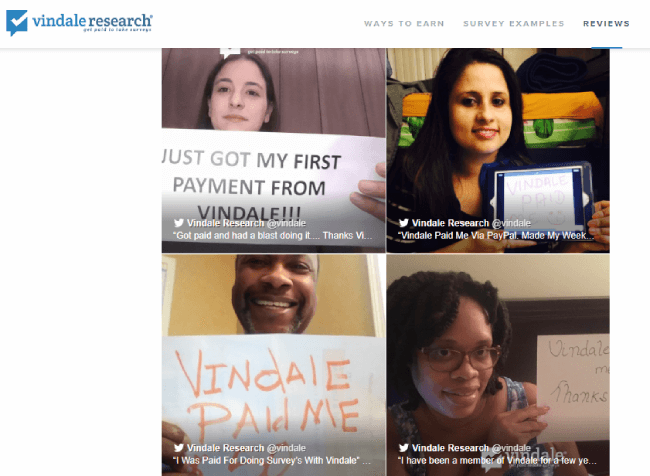 Here are some members who got paid from Vindale Research. 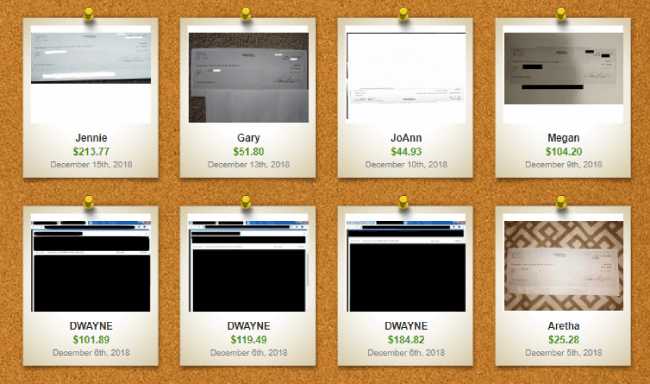 This is a 100% legit website that has paid a lot of its users. I love Swagbucks because it is so much easier to gain points due to the various activities they offer. Not only you can take surveys daily, but you can also do other tasks, such as watching videos, browsing the internet through Swagbucks, taking polls and what not. If you use all these options every day, then you can easily reach your threshold amount within a few days. Once you make 700 SB, you can redeem it for PayPal cash or gift cards. 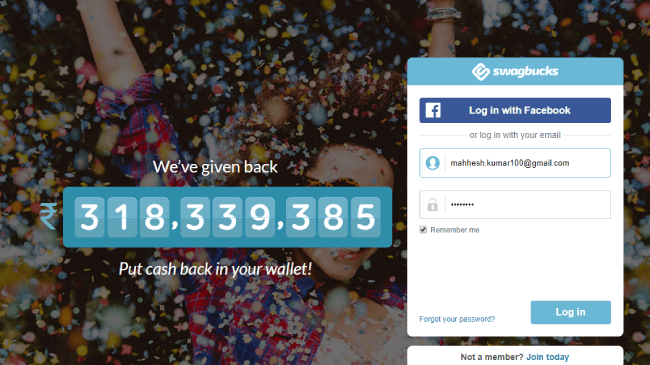 Here is a screenshot of Swagbucks rewards. E-poll surveys is another legit survey site that pays money for taking surveys. Whenever you complete a survey, you receive points that can be redeemed for cash & gift cards. When you sign-up, you need to take a quick demographic survey that gives you 100 points right off the bat. While taking surveys, make sure you give honest answers to their questions and do not cheat them by giving inconsistent answers which may cause the suspension of the account. Once you reach 3,750 points, you can redeem it for cash or vouchers. 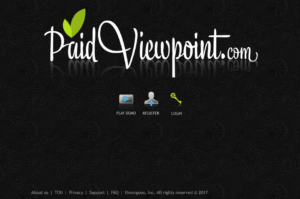 PaidViewPoint is one of the best survey sites out there. It is one of the legit sites that pay through PayPal. Trait Surveys is based on demographics, interest & income. These are short surveys aimed to know you better. These types of surveys make sure you take part in the market survey, which applies to your interest. Talking about Market research surveys, they aim to gain information about product ideas & also pay you once you finish them. When you sign up, they immediately provide you with a survey along with $1 in your account. 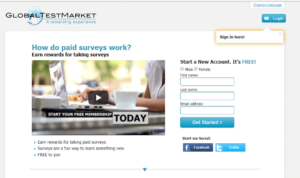 After that, you can take more surveys to increase your earnings. Other than taking surveys, you can also refer to others that can pay up to $25. Another thing you need to take care of is the trait score. Trait score is a score based on the honesty of your answer. Keeping it high is a positive sign which results in high paying surveys. To increase your trait score, you need to be honest with your opinions. I mean. never change your answers for the same question. The minimum threshold amount is $15 after which you can cash out via PayPal. You will receive the money on your PayPal account within 3 business days. Superpay Me is an international market research company that partners with different advertisers. It is a United States company & considered legitimate paid survey sites that pay through PayPal. They offer paid surveys which range from $0.50 to $2 if qualified. Other than the surveys, they also provide different ways to earn money, such as watching videos, paid to click programs, a referral program, a prize contest. The minimum payout is $1 paid within 24 hours. You can cash out your payment through PayPal, Payza or Skrill. 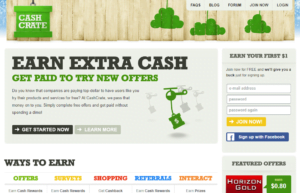 Cashcrate is pretty similar to Swagbucks which provides paid surveys with PayPal payout. It has over 5.2 million members and provides different ways to earn money by taking surveys, playing games, watching videos and completing different activities. You receive the surveys & offers based on the demographics. That is why US & UK residents have a higher chance to get more surveys. The best thing about Cashcrate is that you will receive 2 guaranteed surveys daily (depending on your location). The minimum payout is $20 redeemed either by check or PayPal. But, there is a small catch. The first payment needs to be cash-out via check and after that, you will be able to cash out via PayPal. Here are some screenshots of Cashcrate rewards. 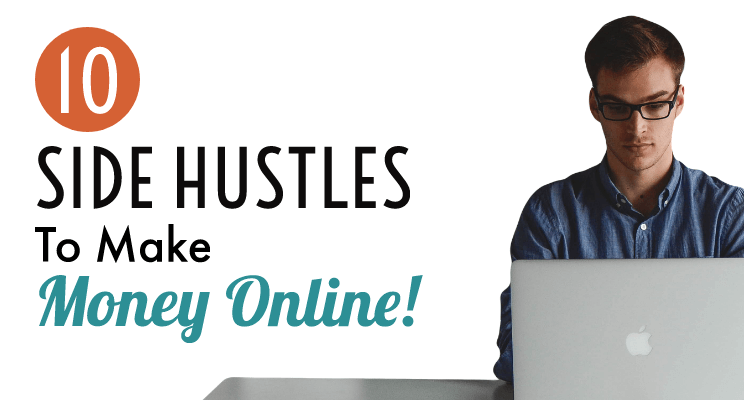 Till now, we have seen all the different survey sites you can take to make money online. But, what should you do next? 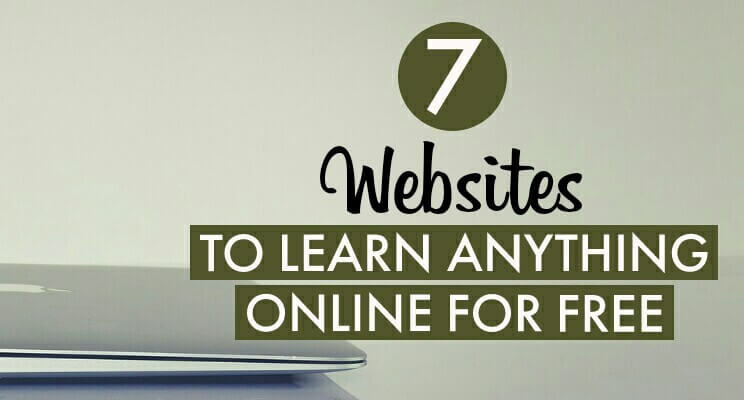 How should you use them properly to make the most out of it? I know these questions might run in your mind. But don’t worry, I got your back. I will explain a few guidelines you must seriously follow if you want to succeed with survey sites. Based on my experience, these guidelines will surely benefit you. I have done thorough research, reading several experiences and stories from people who are making a good side income by taking surveys. So, if you too want to earn money from survey sites that could pay your bills or at least buy you a good meal, then you must definitely read it till the end. This is the same thing you might think right now? But to be honest, you must join all of them or at least 4-5 of them if you want to see some decent money. Do you know why? Because doing so will make sure you are getting enough surveys in a month. Now joining a single site doesn’t mean that you’ll be getting surveys every day. It might not happen because it depends on a lot of factors like your demographics, surveys matching your interest, etc. So joining a single one isn’t enough if you are planning out to make some decent money. However, if you are joining many, then I can guarantee that you will get surveys quite often. This is the exact same steps those people follow who are shining their paycheck on the internet. I have even seen people joining over 10 survey sites so they can make more money by the end of the month. I know it’s crazy, but sometimes you need to be crazy to do something. Let’s assume that you have joined 8 survey sites and you’re making at least $5 from each of them in a month. That makes $35 combine. Well, it’s not bad getting paid $35 for just giving your opinion. Whereas if you have joined only one, then sadly, it would have been only $5. That is why the first & foremost thing you must do is join as many survey sites as possible. I mean, there is nothing to lose. Am I right? Next, you need to make sure you have completely filled up your profile. 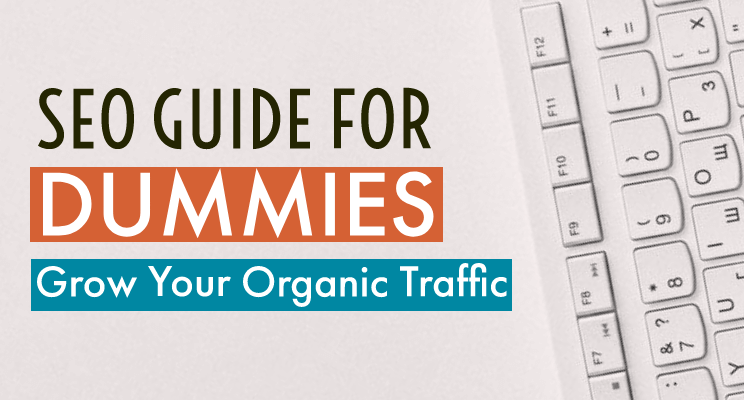 I know it will be a repetitive task when you are joining a lot of sites, but you shouldn’t ignore it. There is a tendency among people who won’t take much pain to fill up their profile & that’s where they’re going wrong. In my opinion, filling up your profile properly can land you with good surveys that give you higher chances for eligibility. When you fill up your profile, survey sites can easily make out which type of surveys will actually fit you. Also, some sites will provide a profile survey where they ask you different questions related to you so they can make out which surveys will be perfect for you. 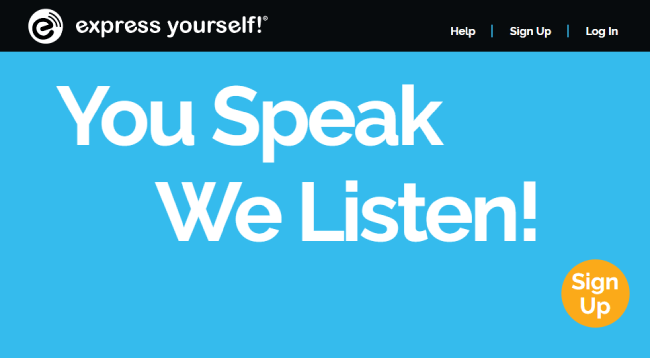 So, make sure you’re answering them honestly. There are a lot of survey sites that offer bonus points for completing a few tasks while signing up. It can be either completing your profile, confirming your email address or doing different tasks that could instantly give you bonus points. I mean, this is a good way to increase your points so you can reach your threshold points easily. For example, if you sign-up for Swagbucks, you will land on a page where they ask you to do several tasks that will instantly reward you points (SB). Getting such opportunities while signing up is a great way and you shouldn’t ignore it. 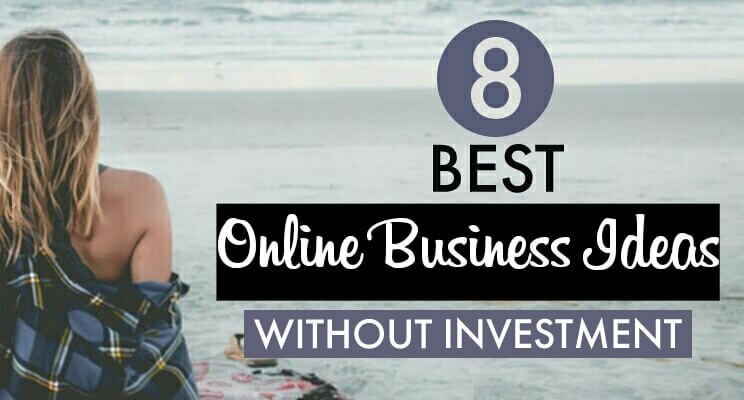 That is why make sure to check out such options while joining them to make the most out. 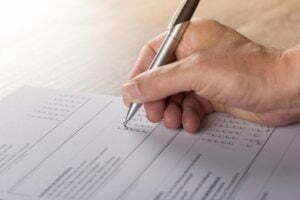 After following all the previous steps, you will see some surveys on your account. These surveys basically suggested to you based on your profile and demographics. However, if you see nothing, don’t get disheartened as it may take some time. Till then, you can apply for different surveys showing on your dashboard. To become eligible for these surveys, you need to first give a short profile survey to see whether or not the surveys really fit you. If it doesn’t, then you are rejected. I know, getting rejected is always bad. But, don’t worry keep on applying to different surveys to see which one is perfect for you. There are some survey sites like Global Test Market, which will give you some points even if you are not qualified. So, that’s a good thing. Personally, I have been rejected many times but I have also seen success. So, it’s all upon us. If you are from US, Canada, UK, there is a higher chance you’ll be eligible for most. If you want to reach your threshold money as soon as possible, then don’t just depend on only surveys. There are many survey sites that offer other tasks, such as watching videos, playing games, reading emails. Taking all these tasks every day can really fasten up your points. With Swagbucks, they provide daily tasks that can add up a few points every day. So make sure you are using them every day so you can earn more points and reach the minimum threshold as fast as possible. So, here you have it. 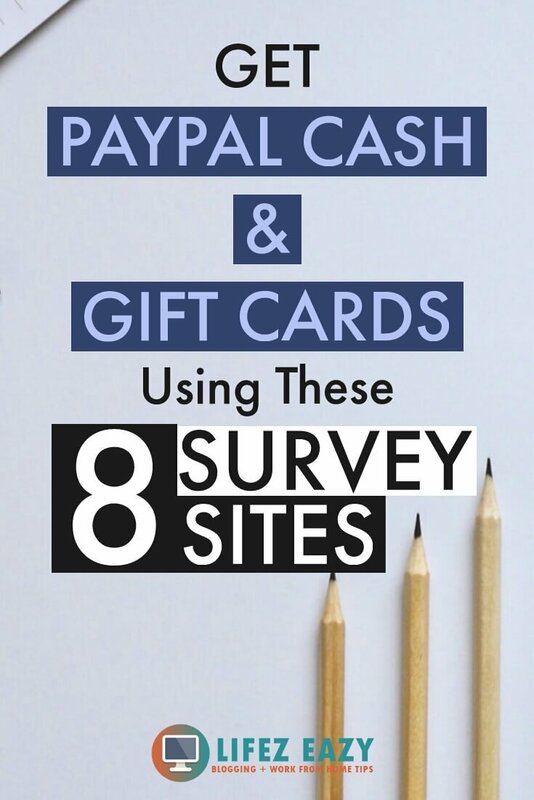 These are some high paying survey sites that pay through PayPal which will add extra chunks of money in your pocket. If you join and follow all the guidelines I have mapped out here, then you have a higher chance of getting success. 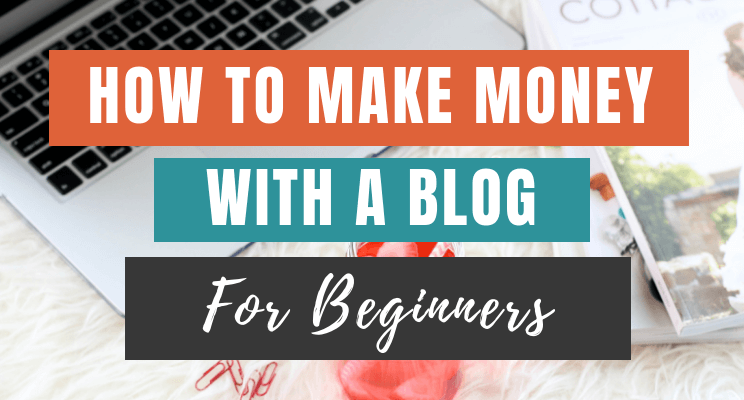 Well, you won’t be rich, but you can make a little money every month that can help you in a certain way. So, let me know which all survey sites you will try. 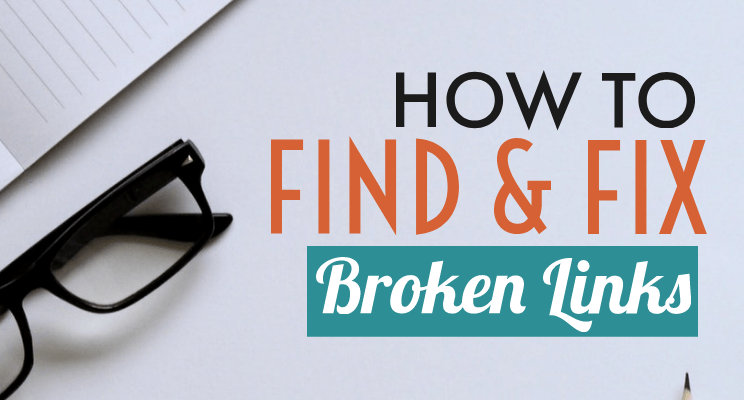 If you liked this article, then don’t forget to share and pin it.